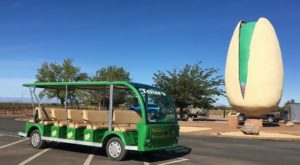 If you’ve ever traveled down Route 66, you’ll know that the historic highway is full of amazing attractions to stop at. 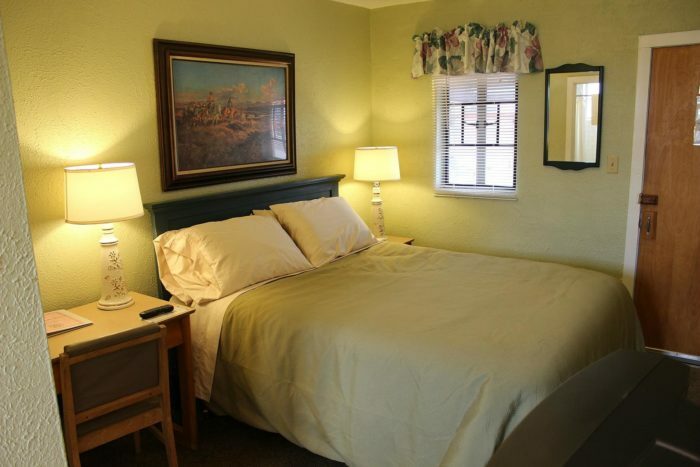 When you need a place to stay upon your travels, this historic motel is an attraction in itself! 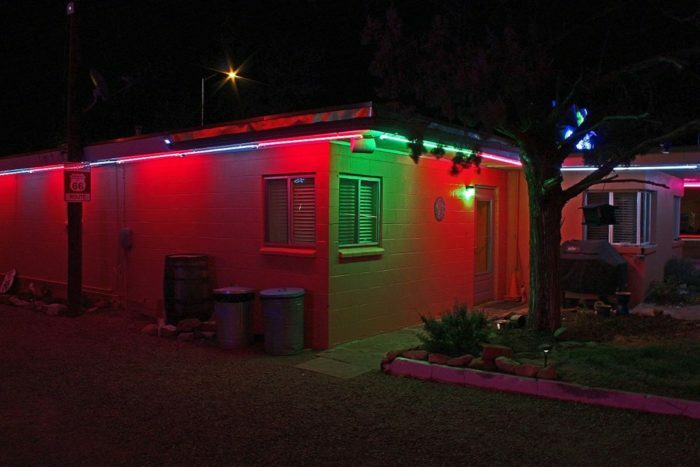 Experience the utmost hospitality at this retro neon motel in Tucumcari for a step into the past. 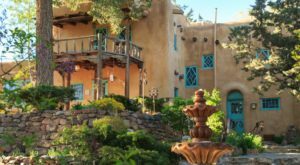 A stay at this eclectic motel is truly a one of a kind experience in New Mexico. 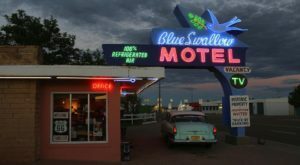 Welcome to Blue Swallow Motel In Tucumcari! 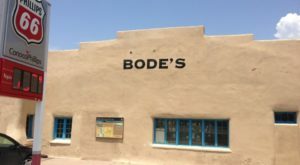 This family-owned motel along our most famous highway, Route 66, is a step into what it felt like to travel through the Southwest back in the good ol' days. 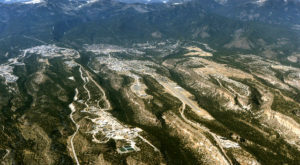 Blue Swallow originally opened as a Motor Court, and is one of the few left that's still operating in its original configuration. 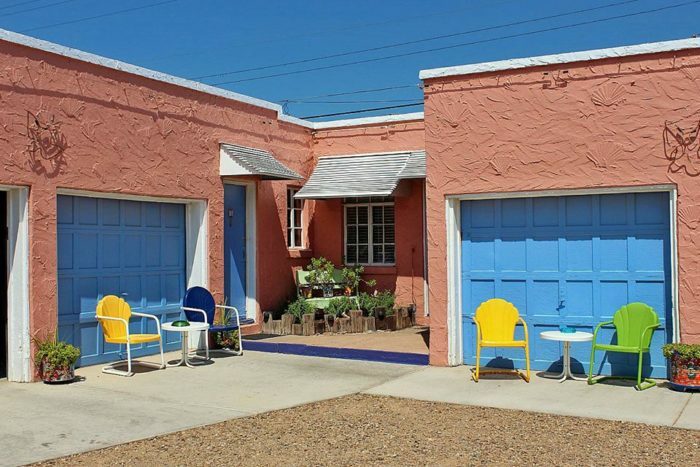 Since 1939, Blue Swallow Motel has been serving travelers with a truly unique stay. Despite being a historic hotel, the rooms have all been beautifully restored and decorated in the style of the 1940s and '50s. 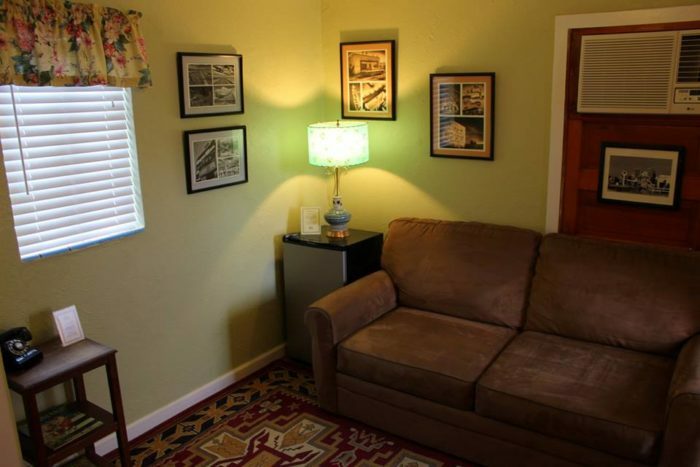 A feature that's unique to Blue Swallow is that each room is paired with a historic garage. Many travelers like to bring their vintage cars to Blue Swallow, knowing that they'll have somewhere to keep their ride safe at this old school motel. 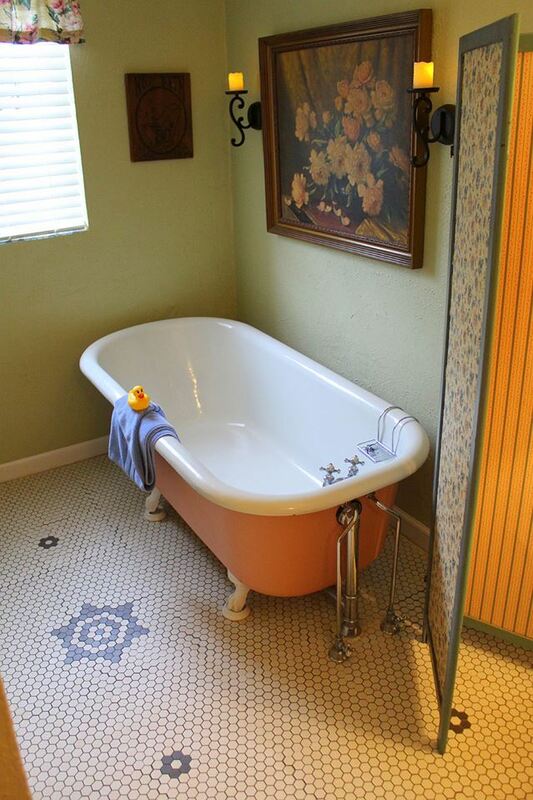 Each room is equipped with premium bedding, spa towels, and top-notch shampoo, soap, and lotion. Even though you're in a motel that's the blast from the past, you won't have to settle for anything but the best of the best from our era. A main reason that this little hotel is such a big attraction are the neon lights that light up the grounds. 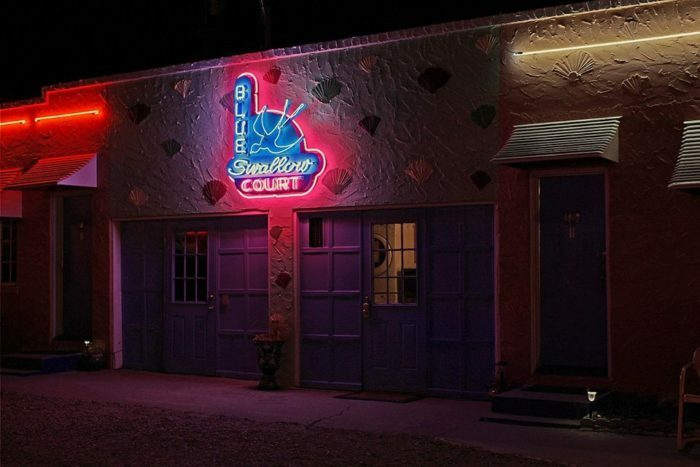 Staying at Blue Swallow is truly a magical experience that's illuminated by the coolest neon lights on Route 66. Don't forget the best amenity of all at this motel from a bygone era: 100% Refrigerated Air! 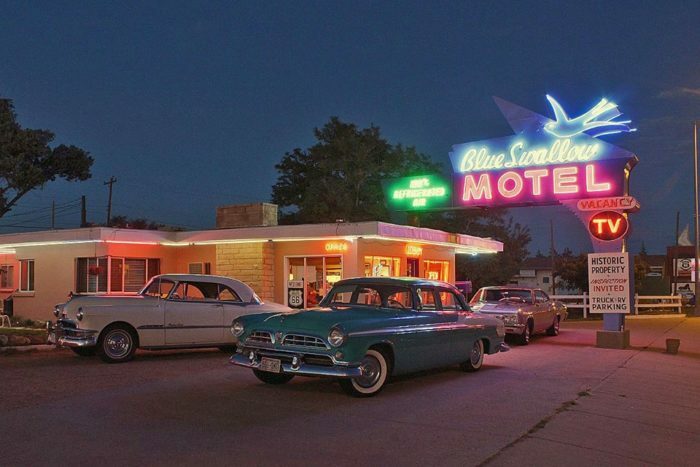 Whether you're pulling over for a quick photo-op, spending the night, or just passing by, this retro motel on Route 66 is one of the most unique historic motels in the country. 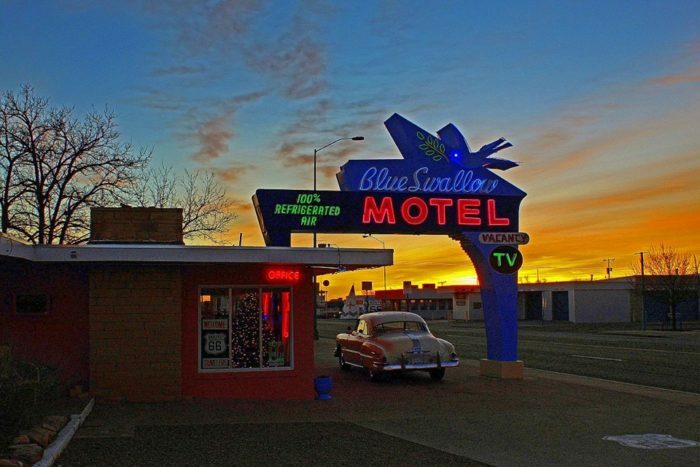 Blue Swallow Motel is located at 815 E. Route 66 Blvd., Tucumcari, NM. 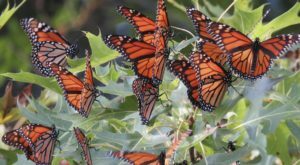 For more information and to book a room, you can visit their website right here. Have you ever stayed at the Blue Swallow Motel? What did you think? We’d love to hear about your experience in the comments! 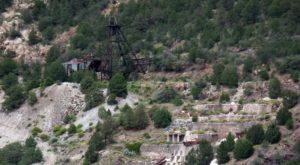 Looking for another blast from the past? 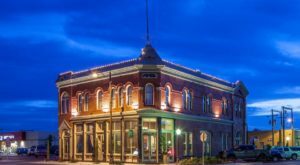 Check out this sweet little cafe in the small town of Magdalena that will take you back to yesteryear.